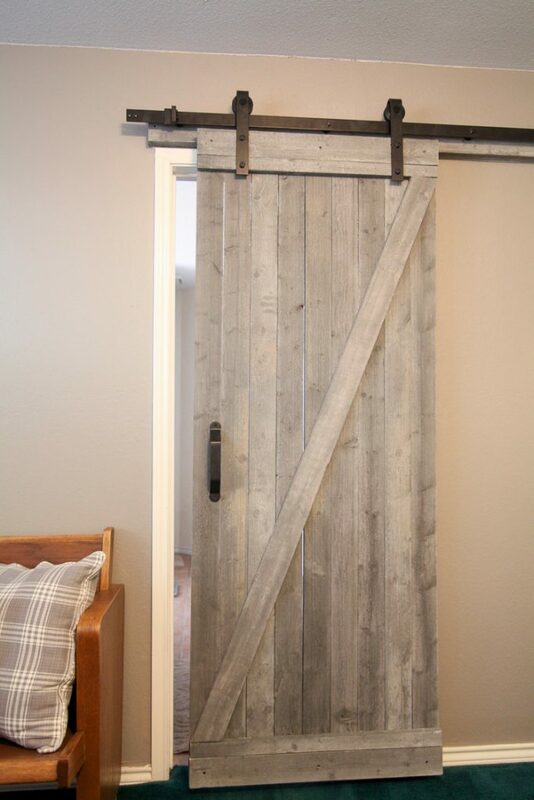 If you love rustic farmhouse decor but your budget is limited, you can still have that Fixer Upper look! 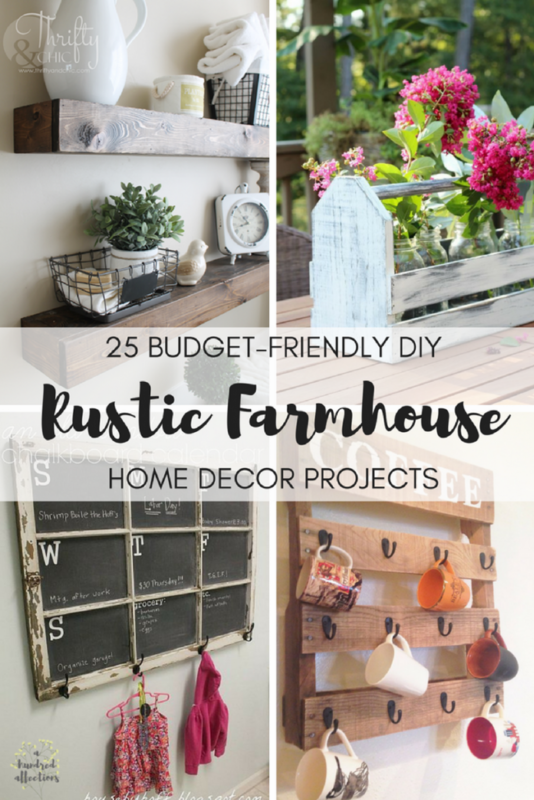 Check out these 25 Budget Friendly DIY Rustic Farmhouse Home Decor projects! I’m typically late to the game to catch on to things that are trending. 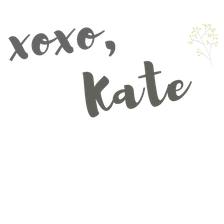 If you can believe it, it was only recently that I was introduced to Joanna Gaines (not literally) and the rustic, farmhouse cult following. And it was sort of by accident. We had an oil burner issue that required us to pack up our whole house and empty it so it could be cleaned, repainted and the floors replaced. The upside of that saga is that we basically had a brand new interior to our house that needed decorating! 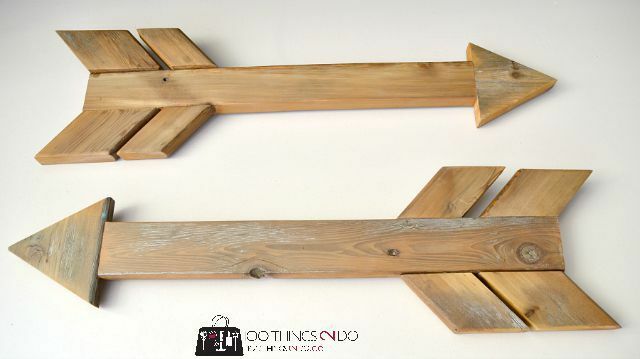 As I was scoping out decor and styles, I landed on rustic and farmhouse decor and loved it. I didn’t know it was a ‘thing.’ I didn’t even realize it when, months earlier, my sister (The Girl Creative) said she was decorating her house for Christmas in a farmhouse theme. It never hit me that it was a popular trending style. 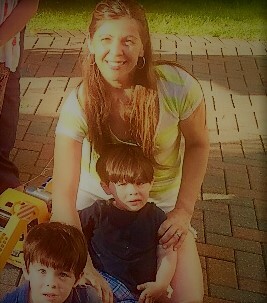 (I’ve pretty much been buried in all things baby and toddler for a few years now). I just knew that I loved the entire look. At one point, when I was picking out things for the house, I had to text her and ask, “Feathers? Arrows? Is that farmhouse decor?” I was clueless. She assured me I was on point. Since then, I have upped my game, drank the Kool Aid and joined the cult. It can be overwhelming trying to pull this off when you are on a budget. 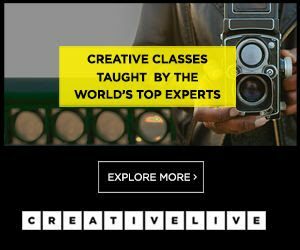 Thankfully, there are lots of creative types out there who can help on the budget-DIY-side of things. There are so many gorgeous options, but here are some of my favorites! I love the contrast of the black and white with the splash of green. Such a clean, pretty design for the kitchen! 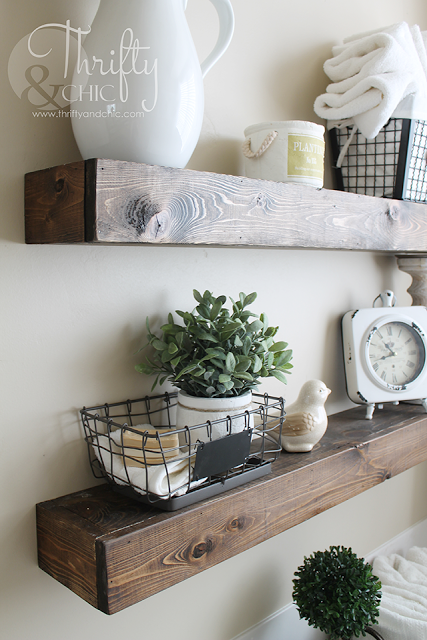 This blog post also has lots of other pictures showing how you can use this kitchen rack! Having a pretty, organized space is one of my challenges. This is such a practical way to have your important information and reminders accessible while at the same time being highly fashionable! 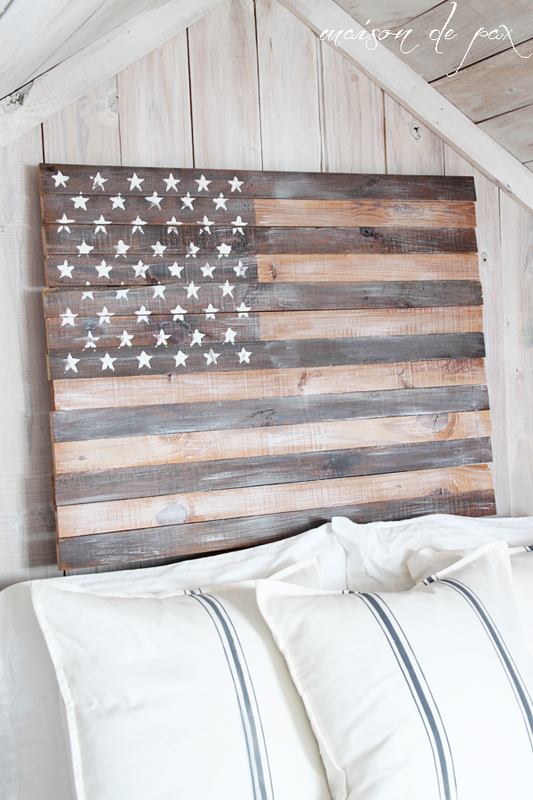 This piece would look great on an accent wall or if you have a large space to fill. 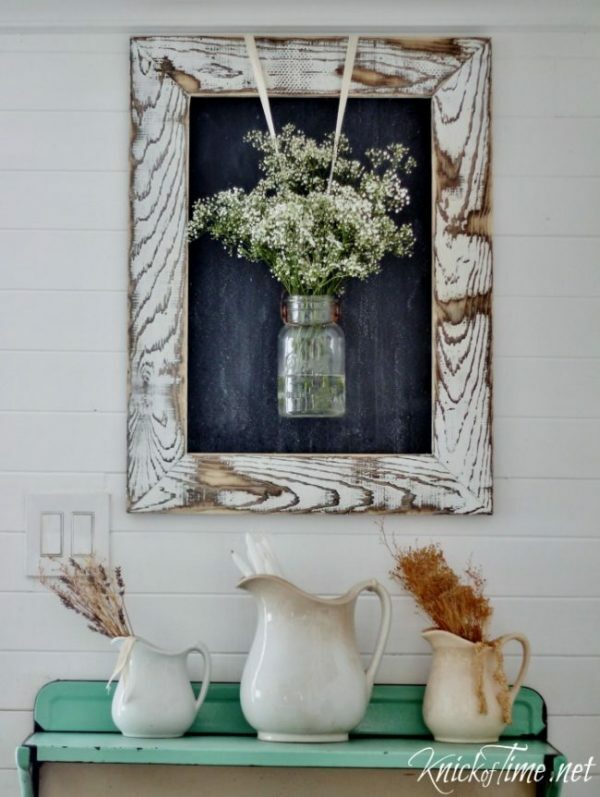 I love how Liz Marie paired this rustic piece with the clean white lines of the table. This piece has so much charm! I love the burst of color from the blue Mason Jars. 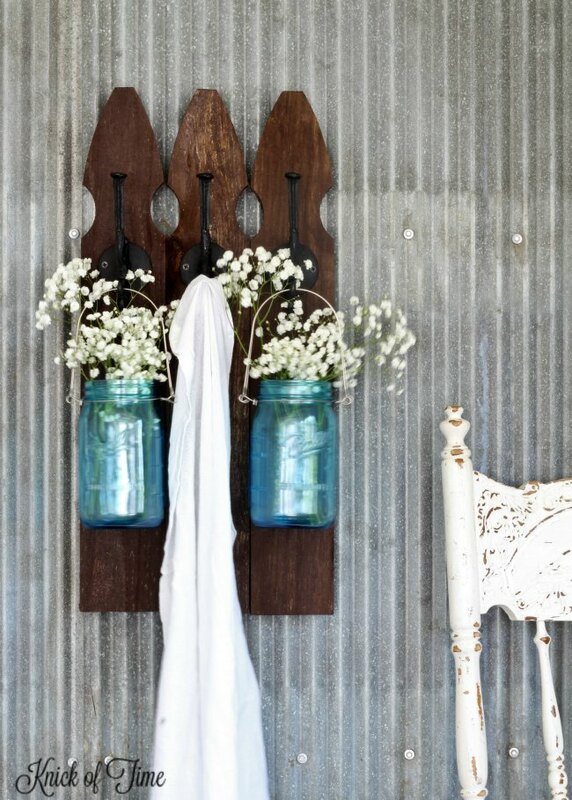 If you’re not into Mason Jars, those hooks are perfect for whatever you want to dangle! 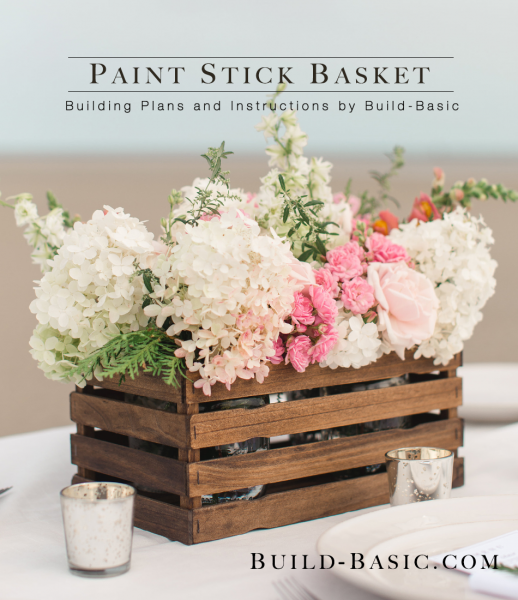 This is gorgeous for both an indoor and outdoor table centerpiece. 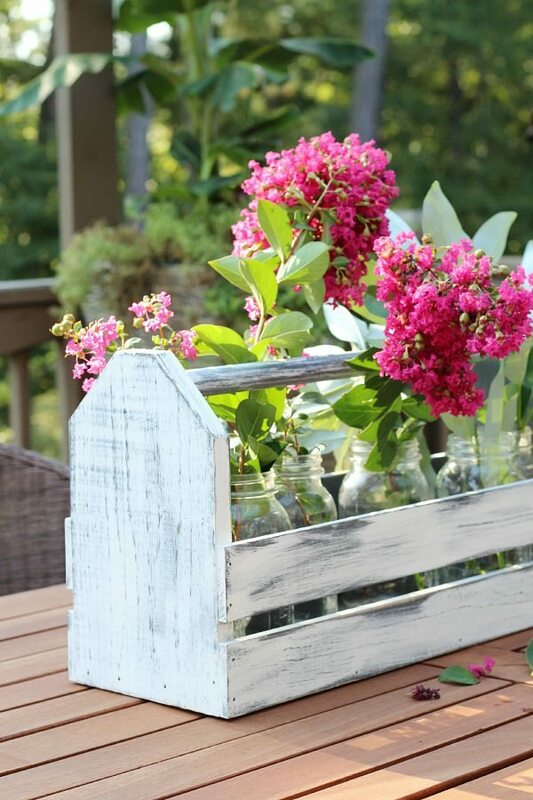 It would also look super-pretty on a console table or in an entryway area. 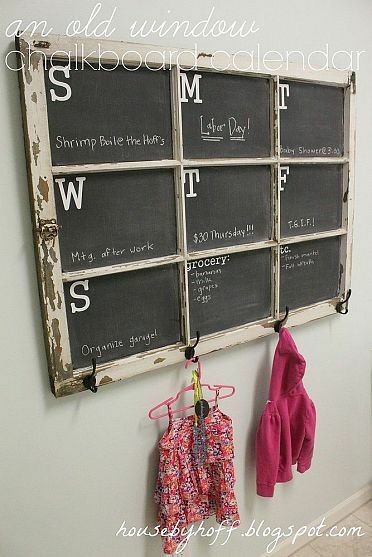 I hated dealing with chalk during my teaching days (pre-wipe-board), but a farmhouse decor chalkboard is another thing altogether! 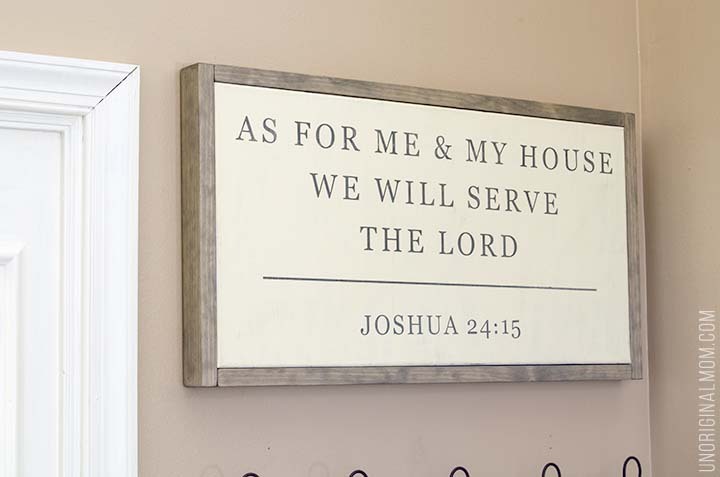 These boards are great for family messages, lists, inspirational sayings – or even to keep the little ones busy while you’re cooking dinner. My favorite thing about this piece is that it can make a mish-mosh of coffee mugs look eclectic and stylish! I’ve never had a matched set, and I sort of have an affinity for collecting random mugs. This piece makes it look like I did it on purpose! It makes me so happy to see that patriotic decor is back in style. I love how this has just a hint of color – not too overwhelming for any room. Another one that is great for both indoors and outdoors. I love everything about this! It’s functional, it’s pretty, it’s versatile. This can be tailored to any way you want to stage this. So pretty and simple! This is another take on the chalkboard frame, but I love how Angie added the jar of flowers to the front for a soft, natural touch. What struck me about this piece is that it is made from actual tree branches. I love when a project has materials that come from nature (i.e. free!). 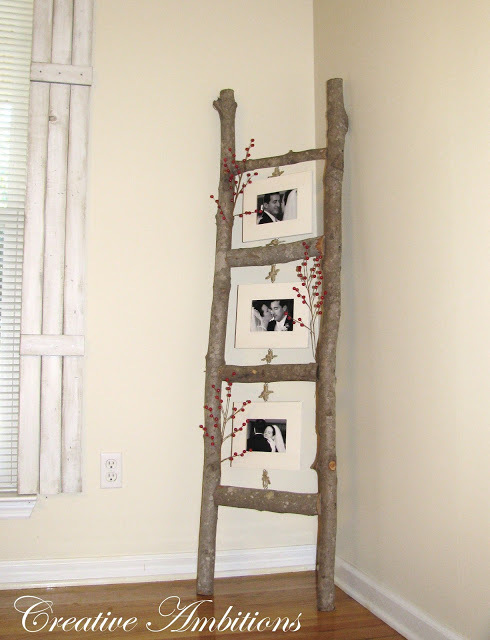 What a great way to display pictures, especially pictures with a common theme. There are those arrows I was talking about! 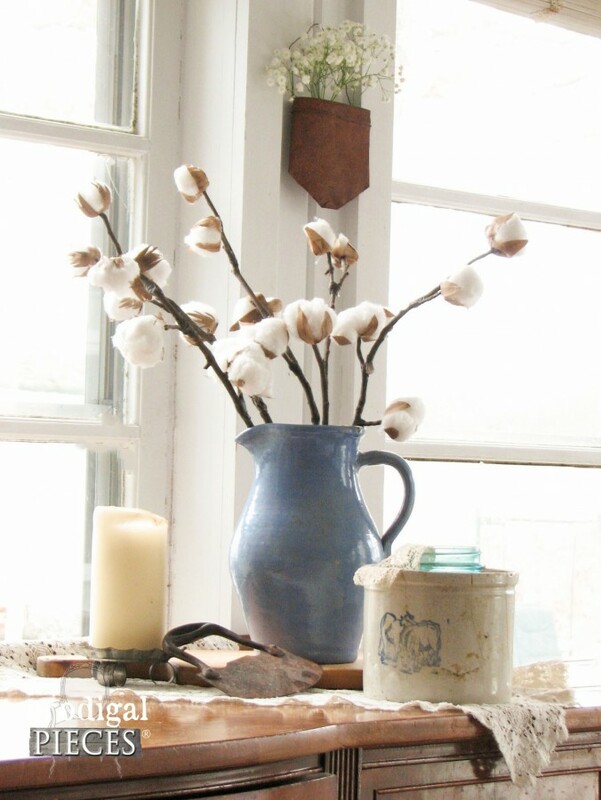 Very ‘on trend’ for farmhouse decor. This would be a fantastic addition to any wall gallery! This is one of my favorites from the group! There’s so much potential to how and what you can display. Another one that is so versatile and can be used in just about any room! I adore this look! This would totally complete any rustic farmhouse decor. It’s not something you see everyday, so this would definitely add a unique look to your rustic theme! I’m typically not a fan of fake flowers, but this one is perfect! It has that dried-flower look but will last forever! Another spin on the chalk-board walling hanging. 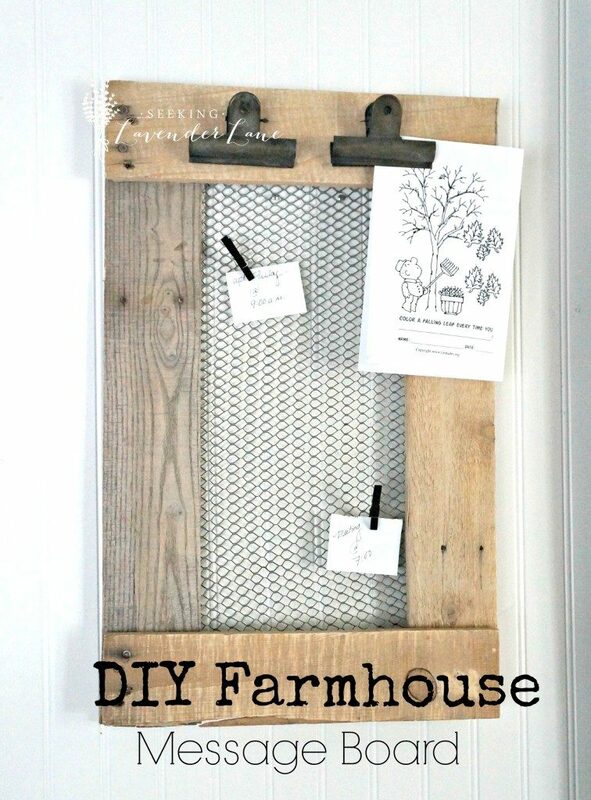 I love this use of an old window pane (look for a future post on that idea!). This is so functional, too – a space for every day of the week, extra boxes for other notes, plus more hooks. I don’t think you can ever have enough hooks. Ever. What a clever idea for coffee mugs! The mix of wood and enamel is an excellent combination! 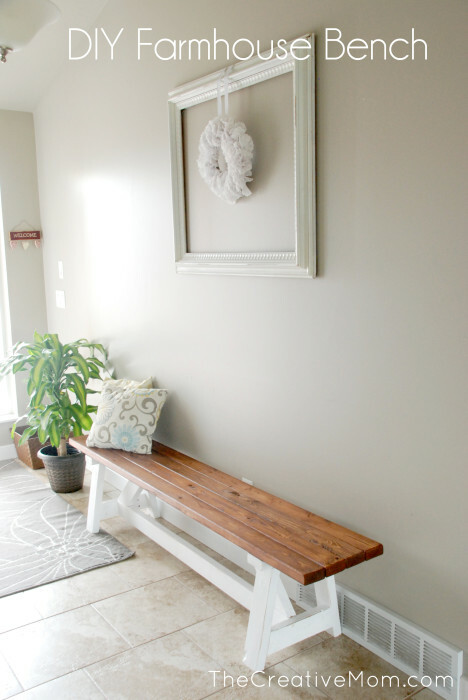 If you look at the blog post, there are some great options for other ways you can use this piece! 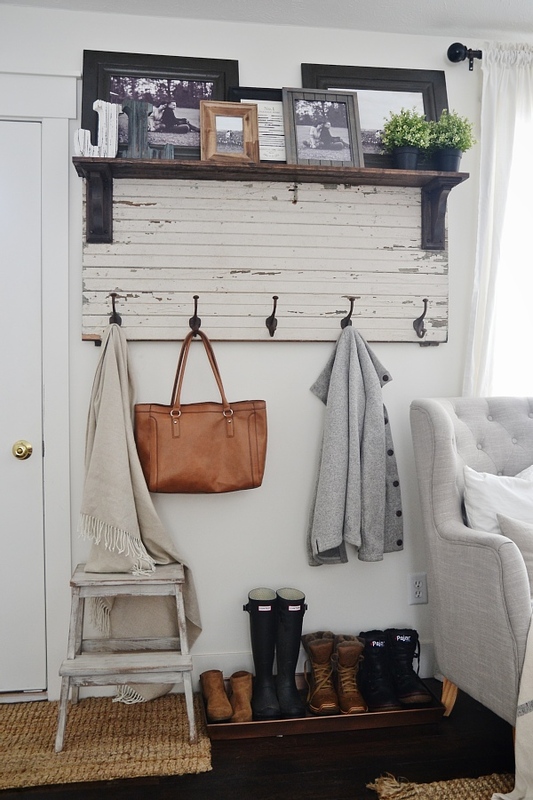 This would be a wonderful smaller, simpler alternative to #7, the Farmhouse Tote. And paint sticks!!! Who would have thought?!? You can get those for free – and if you’re like me, you have a ton laying around your shed. 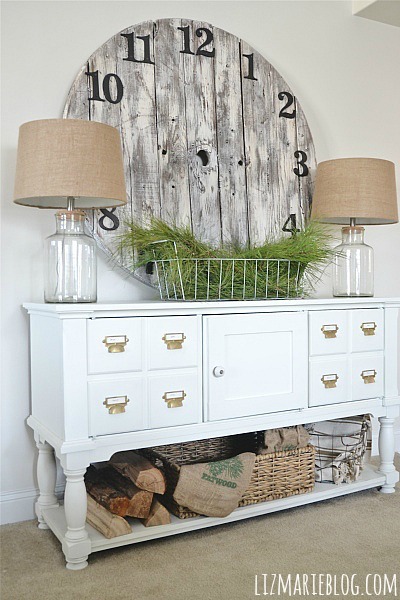 This is such a pretty, feminine spin on rustic decor. What a clever use for door knobs! 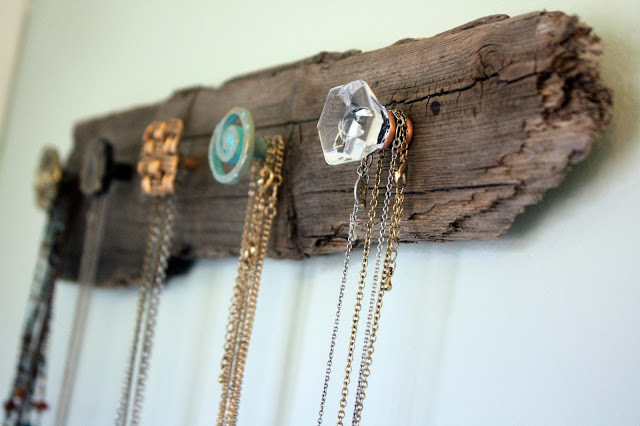 My necklaces usually end a tangly mess, so this would be a perfect solution! 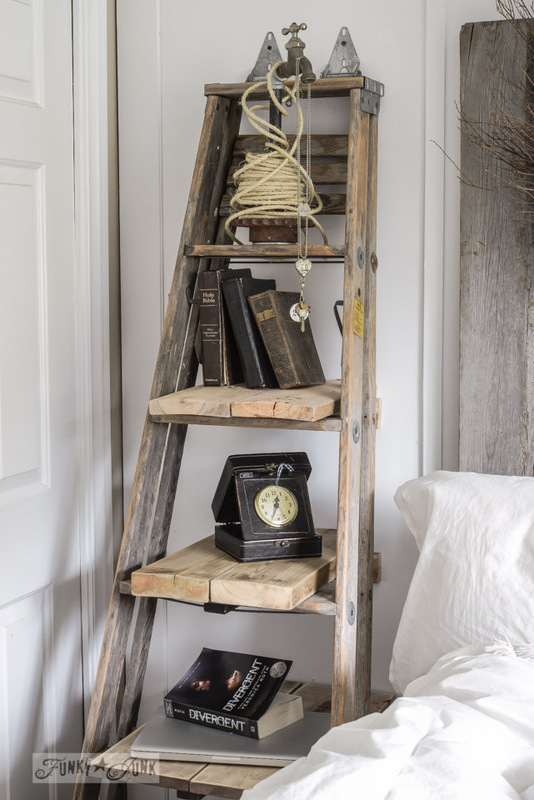 This is such a terrific option for shelving. The simple, clean lines would be an excellent fit when contrasting with some distressed pieces. One of my favorite looks! 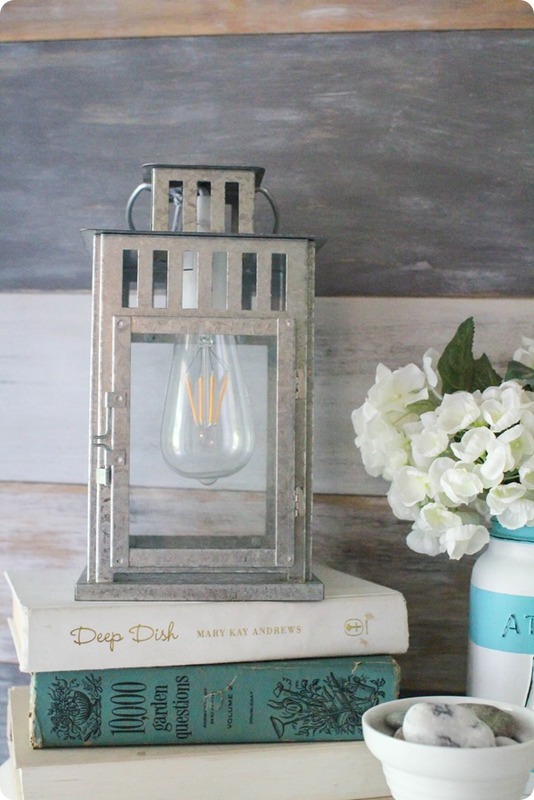 24| DIY Lantern Lamp from Lovely Etc. Such a vintage-y option for lighting! This looks great in so many different settings (as you can see on the original blog post). Some electrical skill is required, but the result is worth it! This is such a win in my book! Not only does it use produce as decor, but it gets fruit and vegetables off my counters. Anything to eliminate counter clutter is a score for me! I love multi-functional items! 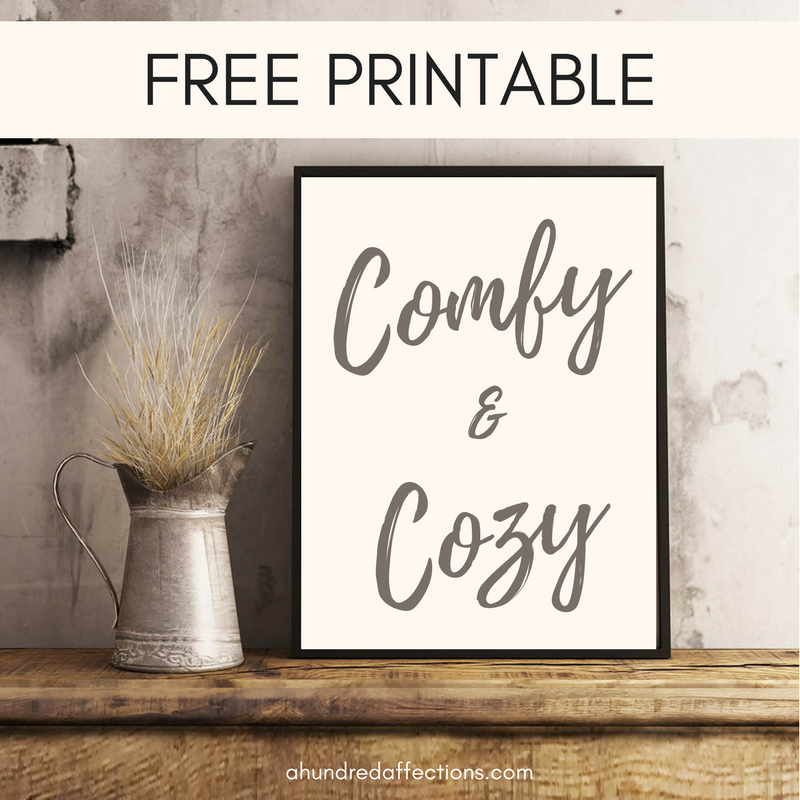 If you’d like this Comfy And Cozy printable right now, just fill in the box below! Download immediately! I seriously would love every single one of these pieces in my house. 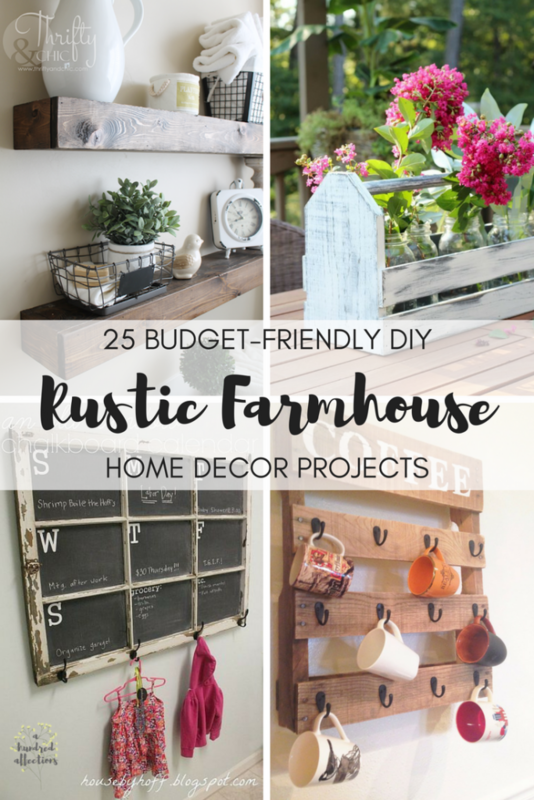 Truth be told, I’m not crafty enough to pull off all these farmhouse projects, but a handful of these budget-friendly DIY rustic home decor pieces definitely are a good place to start. For sure, they serve as great inspiration. 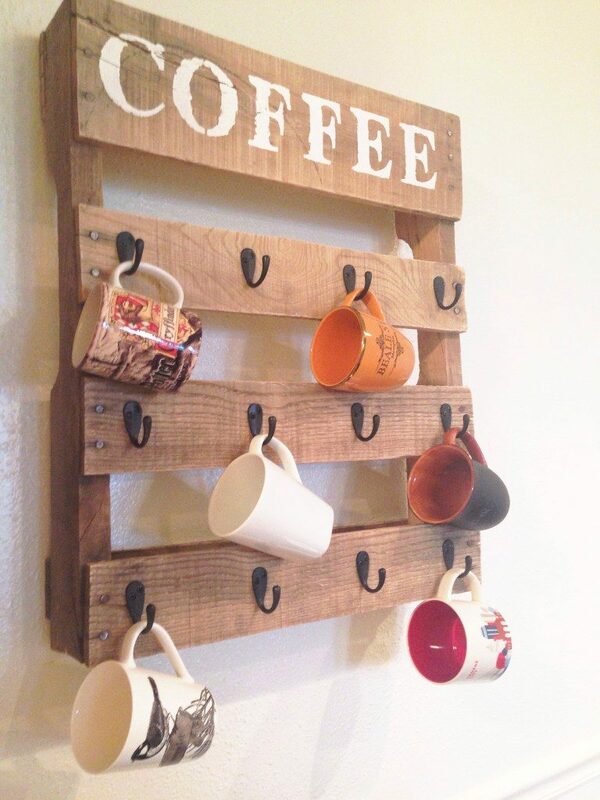 I LOVE the pallet coffee mug holder. Love these! We are about to remodel a house and cannot wait to try out some of these ideas! what a great round up! thank you for all of these! What a wonderful list! 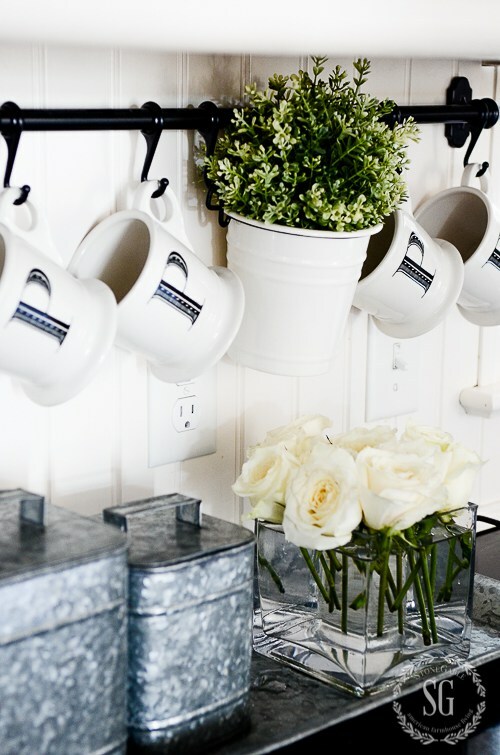 I especially love the enamel mug holder, too cute! I want all of these things in my new apartment!!! 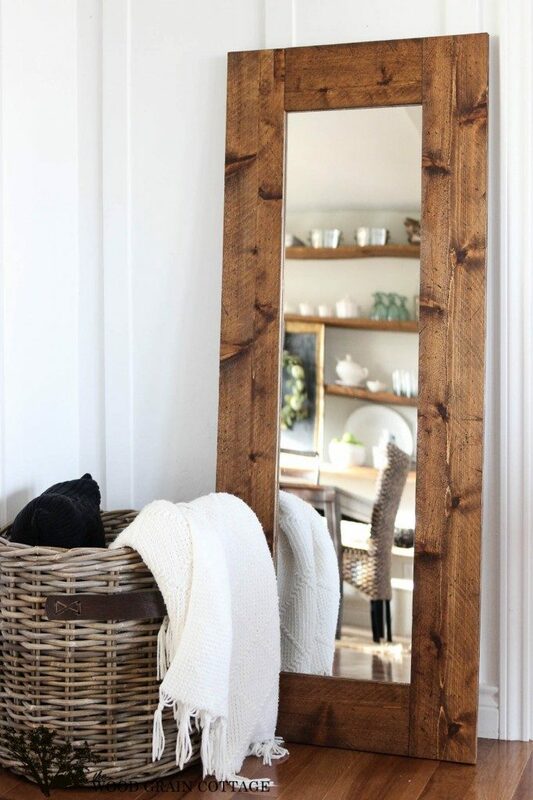 Especially the farmhouse bench or the mirror. UGH. I wish they didn't take an initial upfront cost to all these things haha. I totally here you!!! I think the DIY is cheaper in the end, but there def is some upfront costs! I've learned to go little by little, even though I want it all now! ha ha! I like the message board and ladder a lot! I love the centerpiece idea! I'm planning a wedding with a rustic theme. I'm so glad I came across this because I have been running out of ideas!! This is absolutely great! !